A land called Utah is the place to go! You may read that Utah is a great place to ski! Utah’s mountains are known to have the “Greatest Snow On Earth!” You may hear that Utah is a great place to live! Its cosmopolitan cities have been ranked the country’s most livable cities for decades. In fact, in 2009, Gallup polls ranked Utah as the happiest state in America. But do you know that Utah is also a great place to receive the world-class education in Image Management that you need to build a career in Image Consulting? It’s no secret that Utah continues to be an expanding economic and educational force to be reckoned with. In fact, Forbes.com ranked Utah number two on their “Best States for Business” list and CNBC placed Utah third on their list of “America’s Top States for Business.” Along with technological, medical, and environmental businesses that have brought Utah such acclaim, fashion and image related businesses have also flourished in this rich economic environment. One reason for this may be that Utah is consistently ahead of the curve when it comes to providing a favorable environment for women entrepreneurs, as image management specialist Judith Rasband experienced in developing her company Personal/Professional Style Consultants between 1975 and 1989. Recently, Allbusiness.com listed four Utah cities in their top five “Best Metros for Women Entrepreneurs.” At the top of those four is Provo-Orem, home to the Conselle Institute of Image Management, the only licensed post-secondary school in image consulting in the world. Founded formally in 1989 by Judith Rasband, an AICI Certified Image Master—a first of only fourteen worldwide, the Conselle Institute is one example of why Utah has a reputation for business innovation and professional integrity. Students and professionals from around the globe travel to Utah to learn from Rasband in Conselle’s hands-on, fundamental core curriculum rooted in principle-based concepts and strategies, strong technical design, and practical business application. With America’s fashion and image capitals on opposite sides of the country where extreme styles abound and image ideals are hot one day and not the next, it’s difficult to decipher between trendy opinion and truly enduring style. Utah offers a more objective and economical image education experience for those who are able to get past advertising hype and think in terms of an accurate and comprehensive education, business practicality, and career longevity. What you’d expect to get in New York or California, is what you actually get in Utah. Conselle’s Educational Training In Image Management signals the beginning of a life-long and fulfilling career in image management. When planning your career as an image management specialist, consider all that Utah has to offer — spectacular scenery and recreation, thriving business environment, and of course the most well-established image management corporation and education facility in the country, the Conselle Institute of Image Management. Judith dedicates her long working hours to providing you with the best of all that’s needed to develop your career as an image management professional. 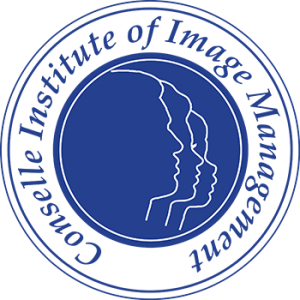 Quickstart your career as a professional image consultant at the Conselle Institute of Image Management and receive all the tools, resources, and systems to launch an image consulting business. For additional questions, call Conselle at 801-224-1207.